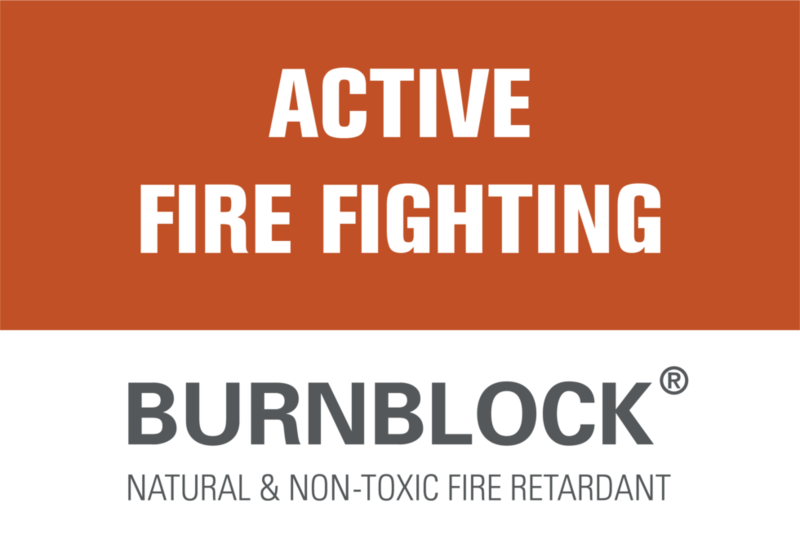 In collaboration with Valabre (École d’Application deSécurité Civilede Valabre) Burnblock has performed test method TEXAID II. The right part of the wood shavings (with red dye) is sprayed with Burnblock. It´s just a great result and it is 100% natural, harmless, extremely effective and lowers water consumption. TEXAID II (Tunnel d’Expertises et d’Analyses Informatiques de données – intérieur) is essentially dedicated to the comparison of the effectiveness of chemical additives (retardant type and gels) used in the fight against forest fires.